A few days ago, I happened to stumble across a webpage with a list of all of the radio stations in the United States and Canada that claim to have a jazz format. Sadly, it is a very small list. Worse yet, many of the stations listed as “jazz” on this particular page were actually “smooth jazz” which is just about as much real jazz as as Diet Dr Pepper tastes like regular Dr Pepper (and I don’t care what the commercials say, Diet Dr Pepper tastes like cat vomit dissolved in turpentine). That list I found was also somewhat incomplete, so I found a few other resources where I could look at or sort stations by format. Even then there are “errors” of a sort. For instance, take a couple of stations that I enjoy listening to when I am in their broadcast areas; KXJZ in Sacramento, California and KPLU in Tacoma, Washington. These are among some of the remaining “NPR Jazz” stations left in America. Unfortunately, these outlets spend much of the meat of their broadcasting day churning out NPR’s news and talk programming. As I have said before, I enjoy NPR…but only when I’m in the mood for it. When I want jazz, I want jazz. As with KPLU during my stay in Washington last year, it was a huge bummer to have the music stopped at 3:00 PM and not have it resume until 7:30 (not to mention having it blotted out in the morning for another five hours). I just find it stunning that this great American art form exists full-time in so few cities. Even many major markets only get one or two doses on any kind of jazz per week on a local college/variety or community/variety station. If there is any type of music that still needs a crew of good and well-informed disk jockeys to present it, it’s jazz. Unlike rock, there are few big hits and it’s a genre averse to “top 100” charts in the first place. Jazz requires storytellers and historians to weave the fabric of the music and make the connections between where artist X or song Y came from and where they went from the point in time a recording was made. 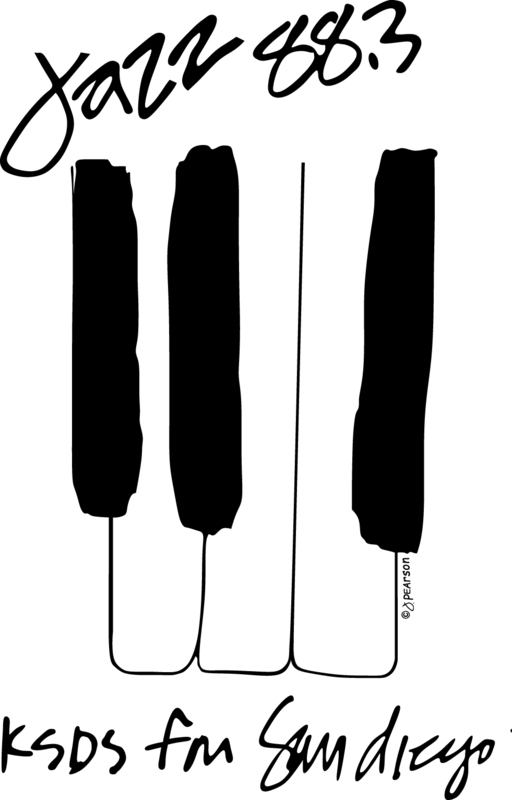 Jazz requires somebody that truly feels the music and the mood of the day — something that cannot be accomplished with a random, computerized playlist and a set of jingles that plays between each song as can be done with rock (even though I don’t like that crap on rock stations, either). Jazz is also a genre where multiple versions of the same song, even by the same artist, are not only welcome but highly desired, and a chopped-off digital display of the artist and performance just doesn’t cut it for those that then want to go out and own that track for themselves. While it is a shame that so many stations have given up on a full-time jazz format leaving most of the country no way to enjoy that type of music — with the all-important element of surprise that no mp3 player can ever provide — at least the modern miracle known as the World Wide Web provides much more access. So…deviating for just a moment from my state-by-state search for the remaining good English-language radio stations left on this Earth, I now feature what I believe are the ten best jazz and jazz/blues format radio outlets in the United States of America. Seven of these have been listed on my Radio page for quite some time while three are recent additions. These ten outlets cover all four of America’s main time zones so, if a public affairs program starts on one, others will still be focusing on music (not to put down public affairs programming, but the focus of my Radio page is on music as it is much more universal…after all, what interest does somebody sitting in Bumfuck, Arizona have in a 30-minute program discussing the rise of trash collection rates in Short Hairs, New Jersey?). Best of all, each of these stations is unique in their outlook on programming. Here they are listed in alphabetical order by call letters. Click on the logo to visit the KCCK website. KCCK might appear to some to be in an unusual place to have a jazz station. When compared to most of the other outlets listed below, it just seems odd that anywhere in Iowa would be considered a hotbed of jazz. Yet, KCCK churns it out 24/7 in Cedar Rapids from the campus of Kirkwood Community College. While not all of the programming is local, the few syndicated shows they do take are all of excellent quality. Friday nights on KCCK are dedicated to blues ending with one hour of jam band music. As is the case with many jazz and jazz/blues stations, the weekends get very diverse. 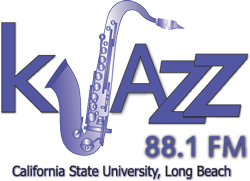 Click on the logo to visit the KKJZ – K-Jazz 88.1 FM website. In 1981, a station then known as KLON in Long Beach, California switched to an all-jazz format. With a signal strong enough to cover almost all of the greater Los Angeles area — except where I live :-( — it did not take long for it to gather an audience. 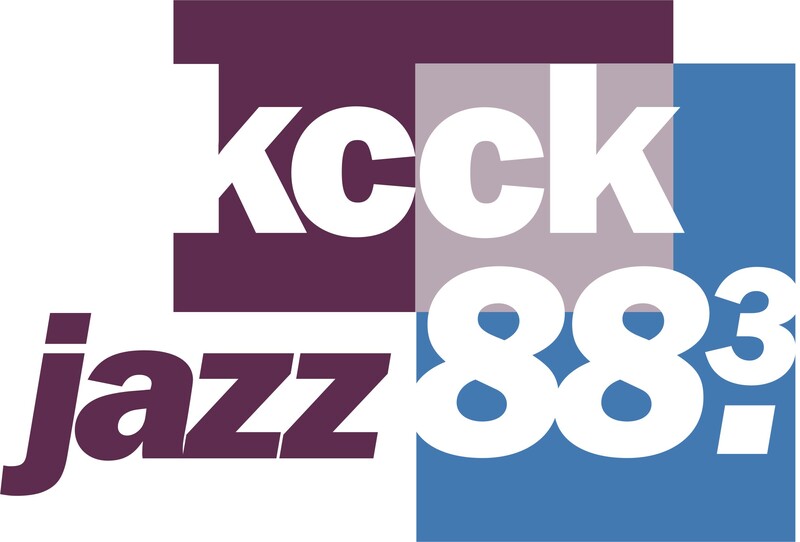 Rechristened as KKJZ (“K-Jazz”) in 2002, it is now the most listened to jazz outlet and the fifth most listened to public (non-commercial) radio station in the entire US. This impressive ranking is well deserved and doesn’t come just because it is situated in the country’s second largest metropolitan area. KKJZ does an excellent job of mixing different genres in each set and has plenty of great specialty programming as well. While I try to avoid featuring stations that use large blocks of syndicated programming, this is one I have selected that carries the nightly program by San Francisco jazz disk jockey legend Bob Parlocha (ironically enough, distributed by classical station WFMT in Chicago that I featured in my previous post). LA being LA, even a non-commercial station needs a little star power. Beginning this past May 2nd, the morning DJ on KKJZ is now none other than David Benoit. ADDENDUM 2015.05.31: KKJZ has since gone into the proverbial toilet and has been removed from my Radio page. It has been replaced by CJRT Jazz FM 91 in Toronto. Please see the entry Out With the Bad, In With the Good. Click on the logo to visit the KMHD Jazz Radio website. While I do not want to discourage anybody from listening to the other nine stations in this list, my current overall favorite jazz station is KMHD in Gresham, Oregon. While visiting the Portland area last year, this was the outlet that fully rekindled my interest in jazz after having been an occasional dabbler in the late 1980’s and early 1990’s (first lit again by another station I will get to further down the list). 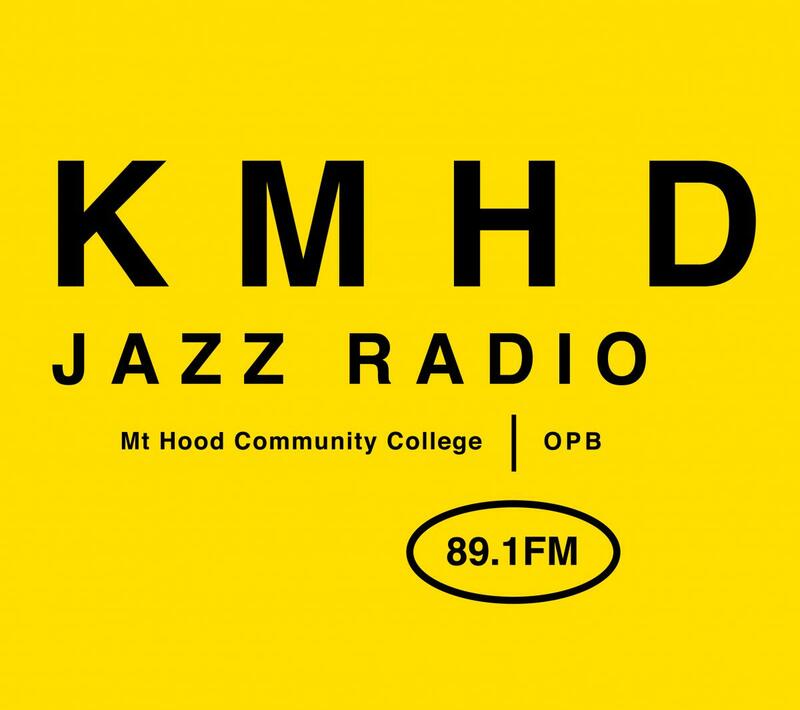 KMHD is one of the oldest surviving all-jazz stations in the United States, originally founded in 1984 by Mount Hood Community College. In 2009 when the school ran into financial difficulties due to budget cuts forced by The Great Recession, instead of just selling off the frequency (as others have done lately in situations I have described here in some recent posts), they entered into an operating agreement with the very well respected Oregon Public Broadcasting (OPB) that runs a great deal of the state’s NPR radio stations and PBS television stations. OPB was smart enough to keep the call letters and the format, and the college was smart enough to retain ownership. Both organizations seem to be profiting very well from this arrangement as KMHD often pulls in very close to a 2.0 in the Arbitron ratings for Portland (for those not familiar with Arbitron, just take my word for it that 2.0 is pretty damn good for a non-commercial station especially in a crowded radio market like Portland). Click on the logo to visit the KSDS website. KSDS in San Diego, California is a station that I have come to like more and more over recent months; so much so that it is one of the three new additions to my Radio page. Owned by San Diego City College, I think KSDS does the best job of any jazz station in being musically connected to its community. They do a fantastic job of promoting local jazz artists and even feature them for an hour every Sunday. Click on the logo to visit the KUVO website. In my description of KMHD above, I mentioned there had been another station that had begun to rekindle my interest in jazz. That station was KUVO in Denver, Colorado. When I pulled my first stint of living in Denver from 2004 through 2005, the number of good radio stations there was extremely small. Thus, it was sort of out of desperation that I filled up one of my car radio preset buttons with KUVO since the signal was strong and it was at least a temporary oasis from my two favorite rock stations there that seemed, between them, to never be able to play enough Aerosmith (barf) or R.E.M. (double-barf). As time went on, I found myself staying on KUVO for longer and longer periods of time. I was most impressed with how they played different varieties of jazz and, as opposed to other stations of that genre I had known in the past, did not constantly play really slow tunes that would put me to sleep. Aside from the wonderful staff on KUVO that selects the music, a good portion of that might be that the station actually identifies itself as having a jazz/blues format instead of just strictly jazz. 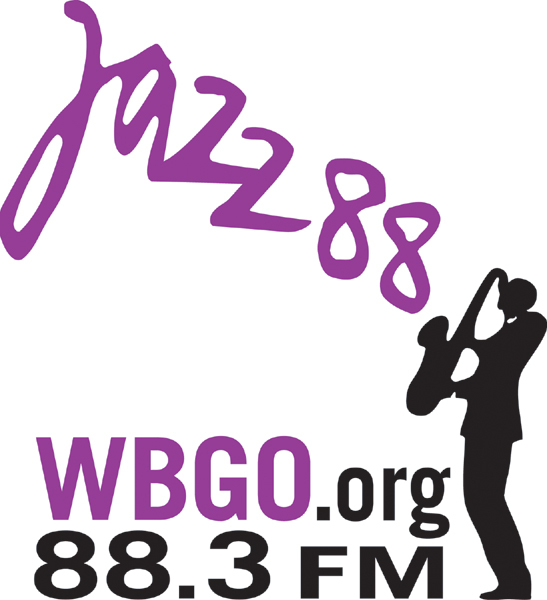 Click on the logo to visit the WBGO website. Another of the three new additions to this website’s Radio page is WBGO in Newark, New Jersey. “Jazz 88” as it is sometimes called is now the only jazz outlet that serves the New York City market. This station just oozes everything good about New York attitude and style which, as one might imagine, goes very well with jazz considering how much history those two entities share. WBGO does carry a somewhat larger amount of public affairs programming than some of the other stations on this list and, during the area’s morning commute time, is a bit more chatty in that slot than what one might be accustomed to coming from a jazz station. That being said, I think it still fits the tone of the station and certainly works well for the area. I don’t find it to be a put-off and I don’t believe most other jazz fans will either. Click on the logo to visit the WDCB 90.9 FM website. While WDCB, located in Glen Ellyn, Illinois, is officially part of the Aurora market, make no mistake — this is Chicago’s jazz and blues station. Just as WBGO is a excellent reflection of New York City’s style and deep history with jazz, WDCB does the same in a style well fitting for a place called “The City of Broad Shoulders.” Nighttime and weekend programming certainly gets broad as, in addition to jazz and, of course, plenty of Chicago blues, WDCB will delight its audience with one or two hours devoted to other types of programming including bluegrass, Irish folk, reggae, and even a Sunday slot dedicated to rebroadcasting old-time radio programs. Click on the logo to visit the WUMR website. WUMR has been churning out jazz to Memphis, Tennessee and the surrounding area since the University of Memphis took over the license in 1979. This is the most solid jazz station on my list with hardly any time spent on any other genre including blues. While WUMR might have some of the highest amount of students actually performing on-air tasks, this station is still loaded with knowledgeable professionals that have spent many years on this station keeping folks entertained and educated about the great American musical art form. As my radio station suggestions try to stay focused strictly on music, I normally avoid highlighting stations that broadcast sports. However, I just cannot help but love WVAS coming from the campus of Alabama State University in Montgomery. I look at them as the little station that could; an outlet that probably does more with less than almost any other college radio station of any format, especially one tied to an HBC (historically black college). Both faculty and students alike work their butts off to make WVAS as professional sounding and fun to listen to as possible and their love for this station just shines through. I hope my readers will give WVAS a chance even if they are not into listening to an occasional Alabama State Hornets football or basketball game. ADDENDUM 2019.04.08: Sometime in the past year, both the music and overall audio quality of WVAS significantly declined. After giving the station many months to fix these issues, I have come to the conclusion this is how things are going to be from now on and that it no longer deserves to be on my Radio list. I have since added online-only CurtJazz Radio out of Charlotte, Nort Carolina which I will write about some day in the future. Click on the logo to visit the WWOZ website. The last of my list of the ten best jazz radio stations (and the last of the three new additions to my Radio page) is certainly fitting as it comes from the birthplace of the music itself, New Orleans, Louisiana. Of course, “jazz” includes a lot of different things just like its home city. Thus, when listening to WWOZ, don’t always expect it to stick just with stalwarts like Louis Armstrong and the Marsalis Brothers. There’s lots of spice in this station’s programming just like in Louisiana cooking. Best of all might be that those hosting each show on WWOZ are volunteers doing it simply for the love of the music and their city. This is why the station’s call letters are WWOZ which stand for “The Wonderful Wizard of Oz,” in that the station’s founders wanted people to focus on the music being payed instead of “the man behind the curtain” playing it. As with much of New Orleans, WWOZ and its staff suffered terribly due to Hurricane Katrina. Donations and an untold amount of hard work have kept this treasure running and perhaps even more resolute than ever to make sure that, no matter what happens on the commercial side of the dial, the unique music of New Orleans will always have a free, over-the-air home. Posted in Media, Music, RadioTagged jazzBookmark the permalink. WWOZ, KMHD and WUMR are probably my 3 favorite jazz stations in the whole country. they are very different from each other of course, but each has their own brand of greatness. For the benefit of others reading the comment by Jose Fritz, he runs a great blog I recently discovered called “Arcane Radio Trivia.” It is now posted here under my Radio Links section.